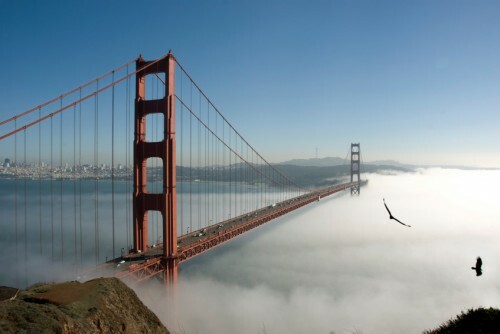 Super cheap flights to California: San Francisco for only €333! United Airlines now offer amazing prices on flights to California. 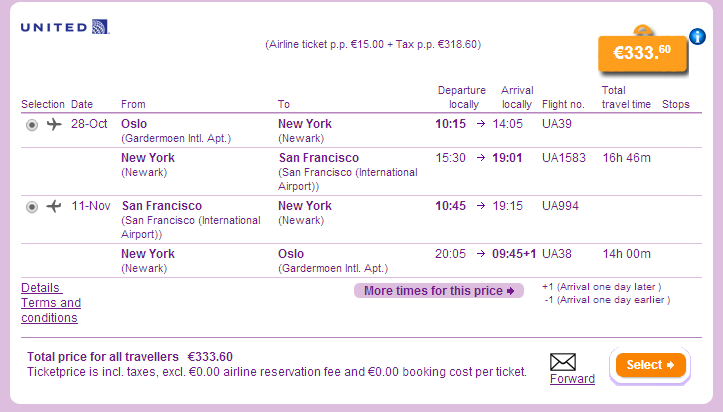 Return flights from Oslo to San Francisco are available for as low as €333! This price includes 23 kg luggage and great oboard service. Travel dates are from October onwards until March 2015 so you have plenty of time to plan ahead. Prices on other dates are also very good from Oslo, for example last minute flights in March or April operated by British Airways are available for approx €370 (e.g. 23.3.-7.4. or 7.4.-14.4.)! San Francisco offers all kinds of accommodation from cheap hostels for budget travellers to super luxurious suites in 5 star hotels. You can find lot of great deals but it’s advisable to book well in advance. It is a good idea to explore a bit more than just San Francisco on a trip and the easiest way to do this is to rent a car and go on a small roadtrip. Prices of car rental are generally pretty low in the USA. « Last minute vacation in Egypt: 7 days in 4* hotel, halfboard, flight & transfer for €249!